Most vertical agitators are classified as Axial-Flow or Radial-Flow. 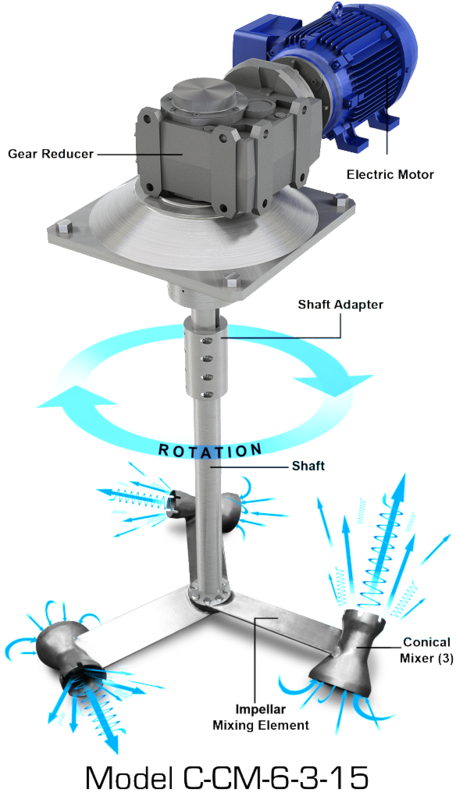 The Conical/Venturi Mixer is a vertical tank mixer in a class by itself, called “induction mixing”. 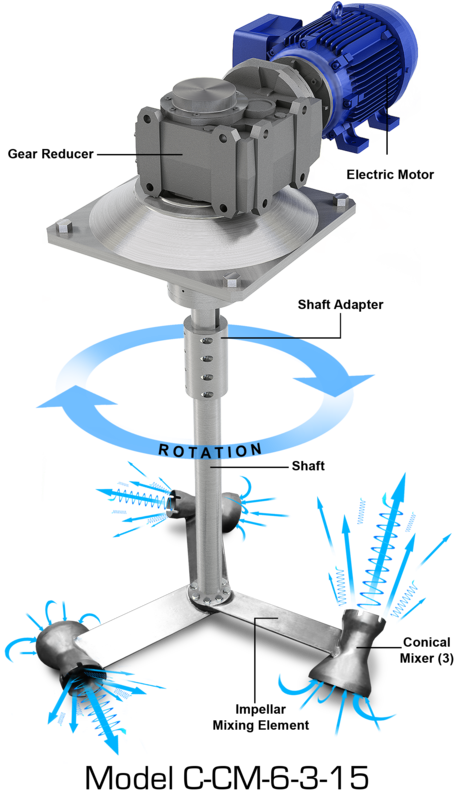 In operation, the rotating, vertical shaft, driven by an air motor or electric motor, will generate a low pressure region surrounding the Conical/Venturi Mixing Elements. As the slurry enters each converging Conical Mixing Element, the fluid velocity will increase as it passes through the Venturi throat section of the Conical Mixing Element, lowering the static pressure in the mixing region. The Diffuser section converts the low pressure back to a higher pressure as the uniformly mixed slurry exits the Diffuser section. 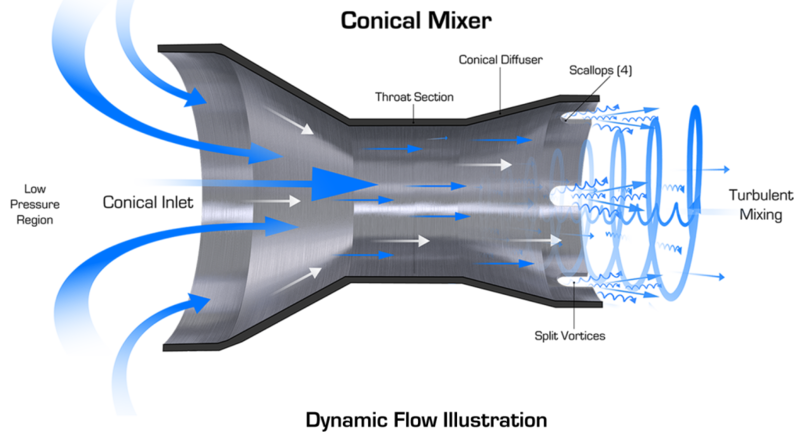 The scallops around the circumference of the Diffuser will generate turbulent vortices that will enhance the mixing process.